Prague, Czech Republic—The Czech chapter of UPF invited its Ambassadors for Peace to a seminar on the founder’s teachings. Prague, Czech Republic—Czech Ambassadors for Peace were invited to a lecture on the life of UPF founder Rev. Dr. Sun Myung Moon. Prague, Czech Republic—“The Media and Us: Influencing the Public Opinion” was the title of a lecture organized by the Czech UPF chapter. Czech Bicyclists and Walkers Follow the "Peace Road"
Brandýs, Czech Republic—UPF in the Czech Republic had its third annual Peace Road, drawing participants on bicycles and on foot. Prague, Czech Republic—Representatives of five world religions and four Christian denominations attended a meeting held by UPF to mark World Interfaith Harmony Week 2016. UPF-Czech Republic Addresses the "Rights of Children"
Prague, Czech Republic—An international conference on the legacy of Jan Hus was held 600 years after the Czech church reformer was burned at the stake. Prague, Czech Republic - Members of the Czech Parliament addressed a Human Rights Day celebration in Prague on Dec. 11, 2014. 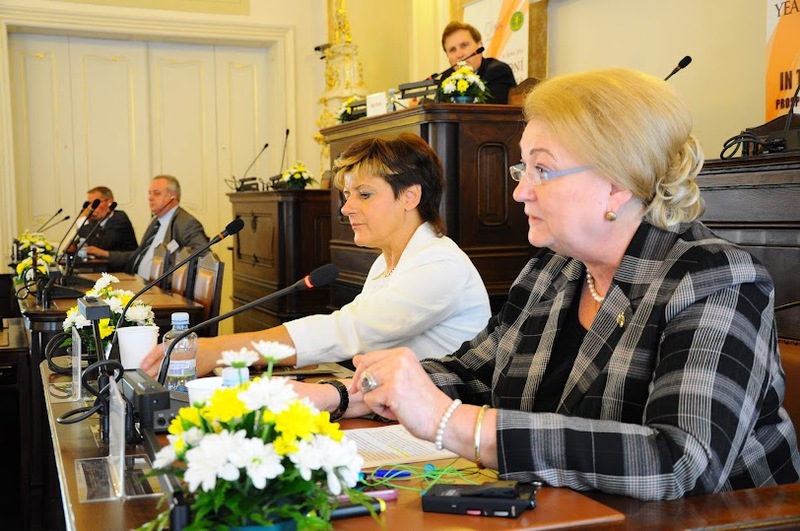 Prague, Czech Republic -UPF-Czech Republic convened a European Leadership Conference in the House of Parliament in Prague on "The Family in the 21st Century" on Oct. 14, 2014.